Diwali is around the corner and it is one of the most celebrated festival throughout India. 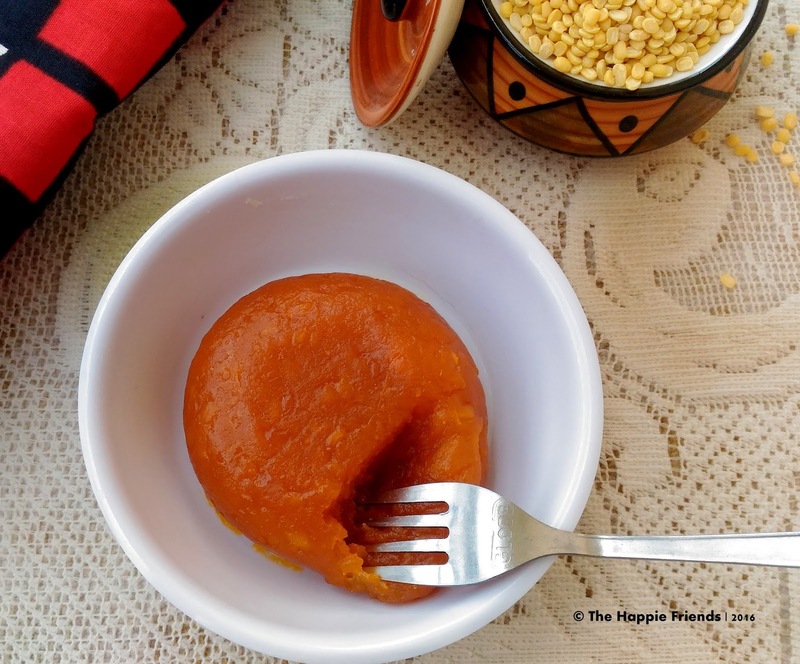 As always food plays an important role in the festivals, I have been hunting for sweets and snacks to prepare for Diwali and this Moong Dal halwa I saw here impressed me a lot so I tried it out and we loved it so much, it was absolutely delicious. 1. In a pressure cooker add in Moong Dal along with 1 cup of water and cook till it is done. Once the pressure is completely released mash the moong dal really well .This is very important for a smooth halwa . 2. In a pan add in a tbsp of ghee and fry the cashew nuts once it is golden brown set is aside. In the same pan add in the wheat flour and keep stirring in a low flame otherwise the flour might get burnt as we are adding in a very small quantity. 3. Once the wheat flour turns nice golden brown switch of the flame and set aside the pan along with the wheat flour and ghee. Take another non-stick pan and add the cooked moong dal mixture mix well and then add in sugar and keep on stirring. 4. The sugar will dissolve completely and the mixture starts to turn glossy. Keep stirring the mixture will start turning thick in this stage add 1 tsp of ghee and mix well then add in another 1 tsp of ghee and mix well ,likewise use all the remaining ghee and keep on stirring. 5. Now that all the ghee has been added to the halwa continue cooking and let the halwa start to become thick in this stage add in the food color and mix well and then add in the wheat flour along with the ghee and mix well. 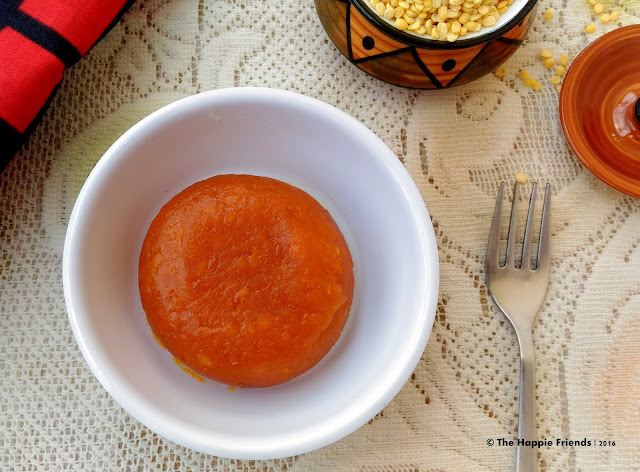 Mash the moong dal very well for a smooth texture in the halwa. You can also blend the dal once it is cooks for a smooth texture. 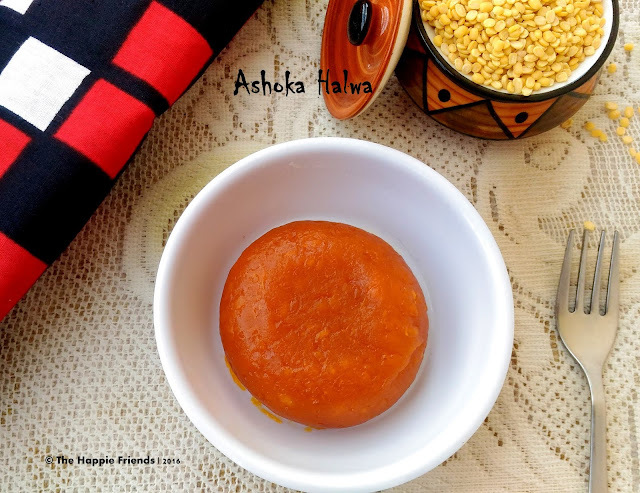 More Ghee can also be added if you prefer. Oozing with the traditional tastes and flavours, a single scoop will be heavenly for me. Never heard of this before. ...will surely try it. ..!!! Thanks Remya ,those are my favorite too !! Your recipes are making the season all the more festive!